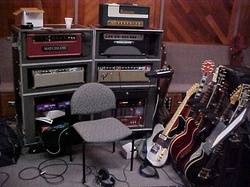 ​WANT TO RECORD AT A WORLD CLASS STUDIO IN NASHVILLE BUT DON'T KNOW WHERE TO START? I welcome and enjoy the opportunity to work with artists from all over the world. You’ve heard the sound on radio and CDs of major artist coming out of Nashville….that great quality and you want that quality for your project but may not know how to get it. That’s where I come in. I know all the top session musicians in Nashville and have a great relationship with them. This allows me to be able to assemble the perfect band for your music! Worried about arrangements, keys, tempos, structure and other aspects of your songs? Don’t be! As a team, we will all strive to create something very special for your songs. This comes natural to these award winning session musicians and singers, so you can just set back, relax and allow the magic to happen. I will be with you all the way through your project. 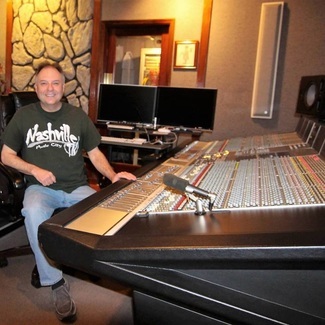 Allow me to get that "Nashville" sound for your next production! If you are interested in making a high quality recording for CD, Radio Airplay, Streaming, Retail Sales, Demos or simply for fun, please contact me for details and pricing on how I can easily make this happen for you! Ever wish that you could work on those old master tapes again? 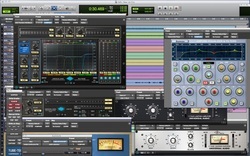 Want to re-mix, re-sing, re-play, or just play around with those recordings? Now you can revisit them again in ProTools or other DAW formats such as Cubase, Digital Performer, Cakewalk, and many others. We offer transferring between 2” ANALOG tape, DASH format Digital, PD format Digital, ADAT, RADAR, DA-88 and Mackie HDR to WAV files onto DVD-R, Flash Drive or your external firewire hard drive that will import into a DAW.. We can “bake” those old 2” analog master reels to allow for clean transfers. Noise reduction is available for DBX and Dolby (24 track analog).